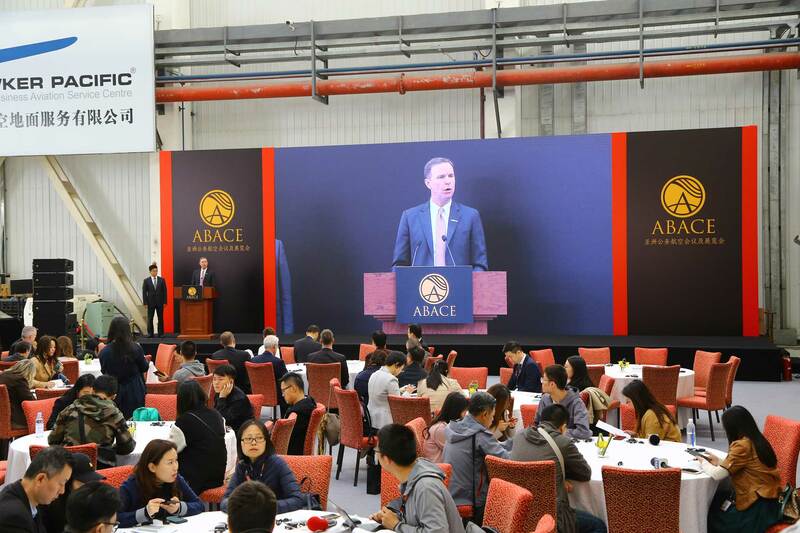 Summarizing the improving business aviation climate in China, NBAA president and CEO Ed Bolen expressed optimism about the high number of Chinese companies exhibiting at ABACE. ABACE has been undergoing a slow evolution, with many more aircraft on display registered from Asian locations and exhibitors from young or startup companies from the region, a change that is reflecting a maturing market, said Ed Bolen, president and CEO of ABACE co-host National Business Aviation Association (NBAA). An underlying purpose for ABACE has been to serve as a platform that helps the growth and maturation of the industry throughout the region. “This is not just a trade show. It is not just about putting buyers and sellers together,” he said. The show is about bringing the international community together, and importantly bringing government leaders together to educate and discuss key policies that would help advance the industry. “That’s what makes this show so special,” Bolen added. He noted that ABACE from the beginning has had strong support from the city of Shanghai, the CAAC, and the Shanghai Airport Authority. The industry also is encouraging more policies that recognize the value of business aviation to job growth, economic development, and humanitarian efforts. “That’s all very important,” he said. The industry continues to work toward recognition of the differences between business and general aviation and the scheduled airline world, believes Bolen. And although trade and taxes can present challenges, he is confident that the government has a vision for growth.